Rocksylvania, New Bearsy, New Deli? Pennsylvania is one of the most talked about states on the trail. In fact, I’m wondering why more people don’t talk about New Hampshire; they seem to wait until Vermont to warn you about the Whites. Everyone knows that Pennsylvania is synonymous with rocks. My overall impression of Pennsylvania was that it was beautiful. We happened to be there when the mountain laurel was at its peak so that made it even better. The rocks….well, they just added a lot of pain mostly. After we left MC at the PenMar park, we started heading for the Tumbling Run shelters with a brief stop at the Deer Lick Shelters, seen here. Yes, there are multiple shelters, mostly for non-snoring and snoring. It was here that we ran into Dreamcatcher, a younger guy of around 18 or 19, who we’d only met right after Harpers Ferry. He’d gotten stung by a bee and had an allergic reaction suddenly and had to hitch a ride to the hospital in Waynesboro, PA. He got back on the trail that afternoon, stating that he was even allowed a shower in the hospital—-stinky hikers! The walk to the Tumbling Run shelters was really easy and smooth going. We got there at 4pm after putting in 18 miles. We’d debated going on to Chimney Rocks but decided against it after hearing thunder in the distance and chose a nap instead. 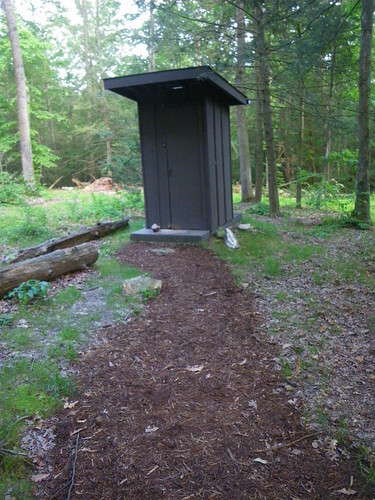 This privy came stocked with its own tp! After lounging in the shelter for awhile reading old magazines, we got up and made dinner. MC rolled in a little bit later and while we were eating dinner in rolled Merf with two others. They turned out to be Cubbie and Dilly Dally! They’d started on April 2nd and we’d found out that they were hiking while on their honeymoon. Merf enticed us with her deli sandwich she’d bought back in Maryland while resupplying earlier that day and we all drooled as we ate our Knorr sides with packets of chicken. Chris thought it would be fun to video people hanging their bear bags….Merf attempting hers. 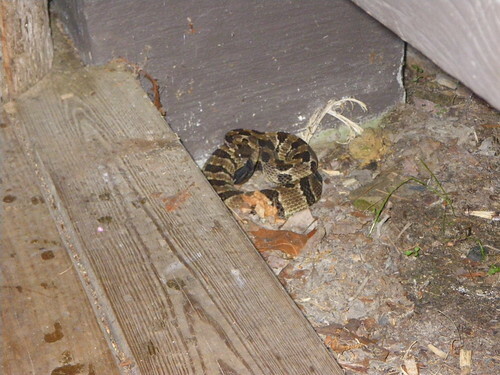 Of course the next morning is when we woke up to a rattlesnake keeping an eye on my boots…that was the last time I left them down on the ground! Our next supply was at U.S. 30 in Fayetteville and we had 9 miles to go in order to resupply and hit the Italian restaurant for lunch. We wanted to get in and get out. The walk up Chimney Rocks was pretty easy and I didn’t even see the Chimney Rocks. It was a little foggy at the top and I was intent on getting to food as soon as possible. We rolled in to the road pretty quickly and made a beeline for the west to Henicle’s grocery. This was an easy resupply, a bit of a pain to walk along the road, but .7 wasn’t too bad to walk. Cubbie and Dilly Dally had to do the same thing so we ran into them while there. The problem with smaller grocery stores is that they tend to really jack up the price on some items that normally wouldn’t be too bad, like packaged tuna. We managed to put together a decent resupply and set off for the Italian restaurant where we had lunch with Cubbie & Dilly Dally. There, we learned all about how they had met and how they’d been working in Thailand teaching English to kids. They had so many stories and it was awesome to get to know them a bit. We ordered subs to go after seeing Merf’s sub from the night before and headed on our way back to the trail. This shelter is the Birch Run Shelter, but after getting back on the trail at U.S. 30 we went through Caledonia State Park and ended up at the Quarry Gap shelters. Somehow we didn’t end up with a photo of these shelters, probably because it started pouring the minute we got there, but they are the nicest ones I’ve seen on the trail. The trail maintainer comes up often and he has a little garden of container pots and keeps lanterns. He said he even had a lined trail of solar lights to light the pathway around the shelter but someone said something to the local ATC chapter and they made him remove them because it was taking away from the outdoor experience. Anyway, we go to the Birch Run Shelter just in time for the bottom to fall out again. 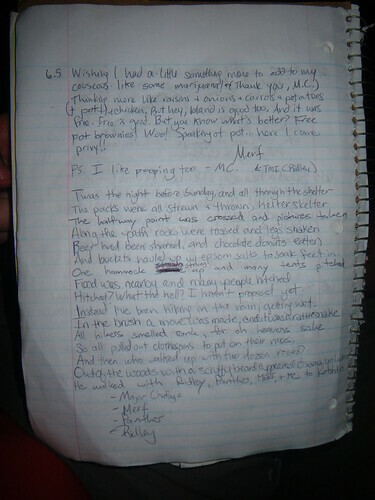 Merf and MC stayed there that night along with Cornpatch and Dreamcatcher and two other section hikers. Cubbie and Dilly Dally kept going to the next shelter since they were trying to make Duncannon by Cubbie’s birthday. After a brief stop with Merf at the Toms Run Shelters…. we hit the half way point for the AT! WOOOOOOOOHOOOOOOOOOOO! Our next stop was Pine Grove Furnace State Park, home of the Half Gallon Challenge, being completed here by Cornpatch. It isn’t an official challenge, and you get a little wooden spoon for your efforts (and a stomachache). 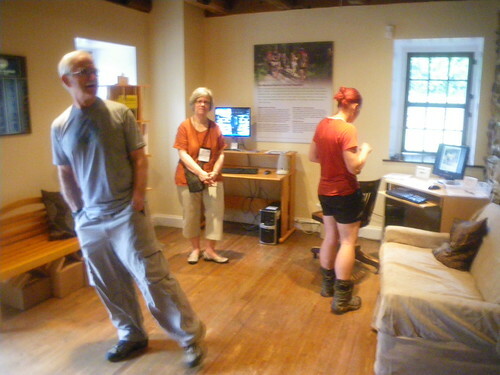 Our initial intent on getting to Pine Grove Furnace State Park was to get there in time for the AT Museum opening. We’d heard from Baltimore Jack in Harpers Ferry that there might be free food involved and anytime food is involved, a hiker will walk faster. I was surprised that there were so few thru-hikers there, maybe 10 of us, and there wasn’t free food, but at least there was food to buy. We were disappointed that during the speeches that went on that there was no mention or asking about thru-hikers in the crowd. There were a few politicians patting themselves on the back, and Earl Shaffer’s brother and Grandma Gatewoods daughters, which we loved, but it wasn’t the celebration I was expecting. We had a good time anyway, meeting past thru-hikers like Pi and K’ache. 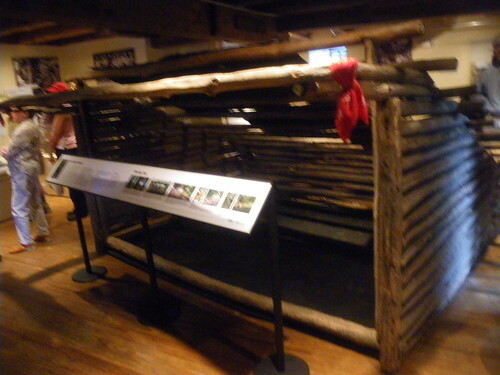 One of the shelters Earl Shaffer built. About to head out after lounging around for much of the afternoon. Pi & K’ache said they would hike up to the Jame Fry shelter to bring beer for the night and camp out. We had about 8 more miles to go to get there and they turned out to be pretty easy. Pine Grove Furnace State Park was bustling on a muggy summer afternoon. 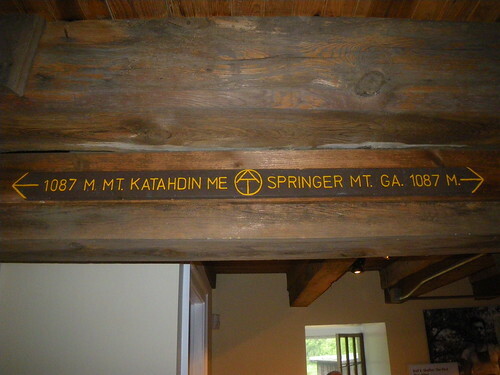 We got a little creative with the shelter register that night…ah, we should have done that more often. James Fry shelter…packed house. At this point we were doing the shelter thing so we had to set up our tent instead. 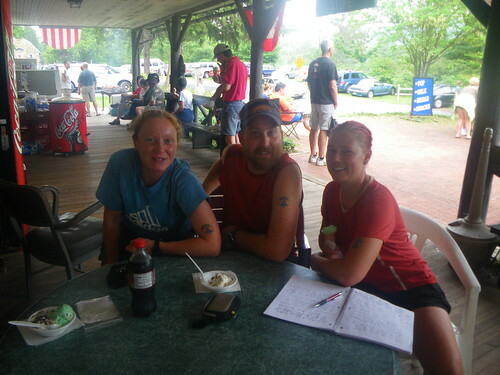 Pennsylvania held our record for the longest day hiked….26.3 miles, a smidge over a marathon. The reasoning was to either stop at 12 miles at the hikers campsite in Boiling Springs or to go all the way to the Darlington Shelter at 26.3 miles because in between those places was the Cumberland Valley, where farms and houses back up to the AT. The Cumberland Valley, very, very flat. It’s even hard to make out any mountains for a long time. In Boiling Springs the ATC Mid-Atlantic Office was closed, but it provided a porch for sitting and a water spigot in the back to fill up with water before crossing the Cumberland Valley. We detoured into town a bit and had pizza for lunch. If we’d known about this bed and breakfast in town we would have stayed at it…for the life of me I can’t place the name, but apparently it was the sweetest deal on the trail with some of the best food and rooms for very little money. Instead, we kept on going, dodging a rain storm and the day turned out to be pretty nice. We ran into slightly strange/weird people #1 while crossing an interstate bridge. They were truckers, I got a weird vibe from them, Chris didn’t, and I couldn’t figure out where they had parked their truck to walk down on the trail. The friend of the truck driver had a disposable camera and after talking about the AT to us for awhile, asked to take a photo of us. We obliged and found out later Merf and MC, who’d stopped for a longer lunch in Boiling Springs, got asked the same thing. Oh, I guess I should also mention because I will forget one day, that we took a break near some railroad tracks to call home. This is when mom told me that they had to put their cat Yoda down. She’d been going downhill for awhile and the previous day had been really sick. We stopped for a quick break at the ATC Scott Farm Trail Work Center to fill up on water, passed the northern terminus of the Tuscarora Trail and arrived at the Darlington Shelter well after dinnertime. 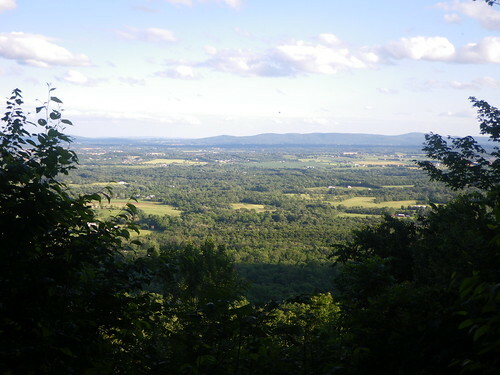 This is the view of the Cumberland Valley from up near the Darlington Shelter. Once we arrived at the shelter we saw two faces we hadn’t seen in a long time, Missionary and Boston. 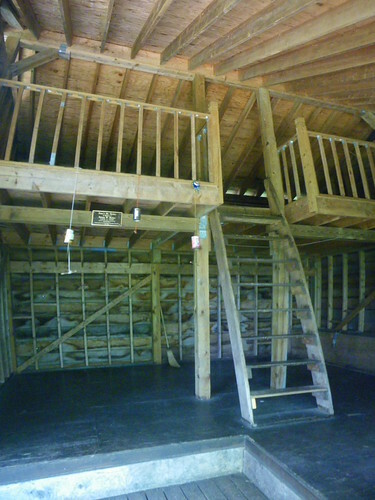 This shelter boasts one heck of a privy. It’s got two seats and could double as more sleeping space if it was really miserable weather (if one wanted to sleep in a privy). Merf and MC still hadn’t shown up by the time it was dark and just when I thought maybe they’d decided not to arrive that night, they showed up. Down below they’d gotten asked if they wanted to be taken in to someones house for food, shower and relaxation but they declined because Merf had to get to Duncannon the next day to meet as friend. See, you never know what kind of trail magic you might get. The next morning we slept in since we only had 10 miles to go and weren’t in any rush to get into Duncannon, only to get there for lunch. It was an easy going morning and we ran into our second creepy dude near the Cove Mountain Shelter. As a back story two people were murdered here in 1991. First, this guy offered us Quaker Oat Squares to snack on as “trail magic”. Ok, not really too weird, but it was more of take a few out of his bag and eat them. They he proceeded to talk to us for forever. We just got a weird vibe, but he did give us good trail advice stating that the AT takes a turn to the right instead of going an easier, local way, which we found out later. MC said the guy bought him an entire box of cereal when he got into Duncannon. Our room at the Doyle Hotel. The Doyle is trail renowned. It partly reminds me of a tenement from 1900, a hotel ad from 1920 and a bit like the hotel from The Shining. The walls are thin, the windows get held open with books or fans or other items, and a few people actually live in the hotel. The food at the Doyle is really good, though. There aren’t too many places to eat in Duncannon, in fact the town was very run down. It used to be a big manufacturing town but all of those have closed down and the paint peels on most buildings. It was the first town that made me feel like I was in the North. The local grocery store also hosts a shuttle for hikers to resupply in the afternoon and they come by the Doyle to pick you up free of charge. You could walk, but you might be risking your life on the busy road to the grocery store. Trail Angel Mary also lives in Duncannon and will go above and beyond to help out hikers. Definitely toss her some money if you end up calling her! After a breakfast at the diner across the street we left Duncannon and crossed the Susquehanna River and climbed up onto a ridge that provided an insight into the rockiness that lay ahead. Cyren and Mo. Why yes, that is an iguana. This guy was walking south from Massachusetts. I have no idea if he finished or not. Peters Mountain Shelter. The shelter that is in the AT museum used to be at this location, now it is a double decker. We found a cozy tenting site with Boston and a ‘section hiker’ (turned out to be someone who was probably homeless) at PA 325, Clark’s Valley, next to a really nice stream. Chris tried fishing to no avail. You know, one thing I remember about PA was that we heard a lot of gunshots. A lot. I think Pennsylvanians really enjoy their right to bear arms. I don’t remember any other state having that many gunshots. The following morning we woke up to overcast sky and a chill in the air. The weather back in Duncannon had said it was going to rain today and as seen in Rocksylvania, New Bearsy, New Deli?, it ended up raining. The bottom fell out around Rausch Gap Shelter just after we’d passed Cubbie and Dilly Dally getting water and though we’d done 14 miles by lunch it was miserable and I had no interest in eating in the rain. So, we ended up under the bridge for the day. I think some people get a kick out of us staying under a bridge for the night, but you know, I wasn’t wet and miserable so I really didn’t care. It wasn’t like it was a major street corner with cars passing by, it was mostly quiet and enjoyable. We were visited by Chewy who was looking pretty awful himself, but luckily his house was nearby and he was going home to get dry and earn some extra cash. Lightning and Ring Leader from the Traveling Circus came by soaking wet; they were slackpacking Pennsylvania. Monkey had had enough of the rain and hitched a ride to their hotel. I think…wait, I know…this is the day that made me despise rain on the trail and to always keep a wary eye on the clouds. 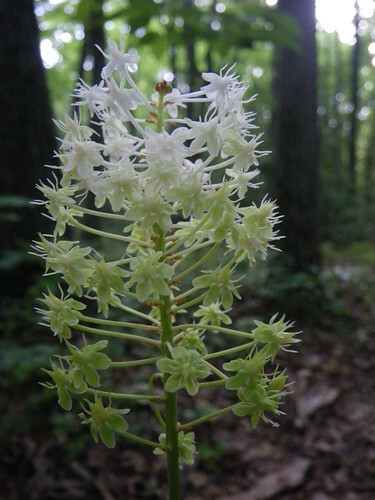 We left Swatara Gap and entered the most overgrown and poison ivy infested part of the trail. It didn’t help that everything was still wet from the day before, but we made it through. At the 501 Shelter for lunch we ordered pizza from a nearby deli; I think this might be where one starts eating their way down the trail instead of hiking. Food is everywhere for several hundred miles after. Inside the 501 Shelter. We leapfrogged Cubbie and Dilly Dally the entire day and while we finally stopped to camp at Black Swatara Spring, they kept going to meet friends in Port Clinton. The campsite was nice and quiet except sometime later we heard low singing or humming. It was very creepy but I am guessing someone else was camping nearby. 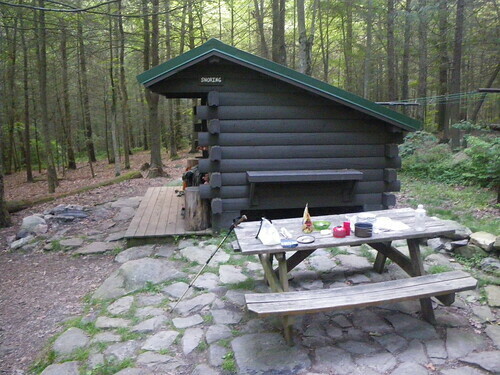 I really loved the campsite and I recommend stopping there instead of heading to the Eagles’ Nest Shelter a bit further. The next morning our destination was Port Clinton to pick up a mail drop and eat some lunch. We stopped near the Sand Spring Trail and saw a sign for trail magic in the spring. We almost passed it but Chris decided to go down and see what might be there and boy were we glad he did. Sodas! Sodas galore! 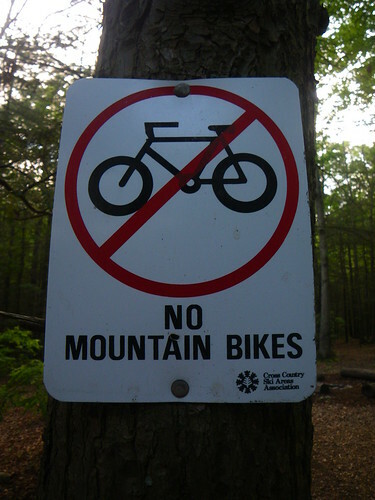 On our way down to Port Clinton I realized that sometimes trail maintainers are idiots. 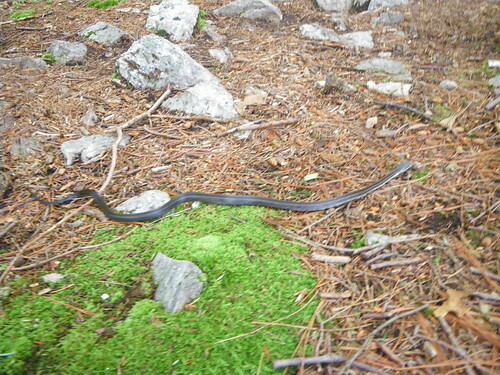 They would weave you off a nice path onto the worst rocky path possible. And then the trail down into Port Clinton is incredibly steep and rocky, but it was just a preparation for New Hampshire. I think everything is prep for NH! In Port Clinton we walked down to the town pavilion where they let people sleep. 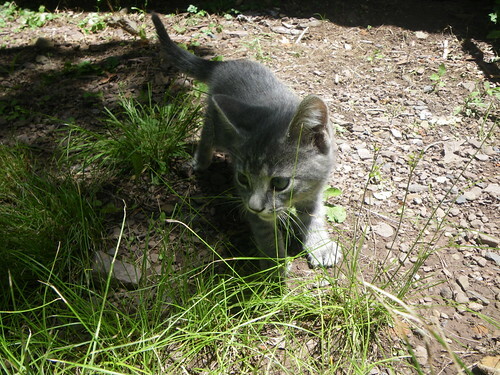 We didn’t stay, just went to see who was there and what was going on, and we met this little kitten we decided to name Katahdin. The outfitter in town was closed so we hit up the Port Clinton Hotel for lunch. By the way, do not order the large fry; not even hikers can finish this! We grabbed our mail drop from the post office, made a restroom pit stop at the barber shop across the street and bought sodas from the guy and made our way out of Port Clinton for the Windsor Furnace Shelter. Windsor Furnace Shelter. We were the only thru-hikers there, though we thought Cubbie and Dilly Dally would show up, but they had decided to stay in town with their friends for the night. The next morning we set out for The Pinnacle. It looked to be threatening rain and was overcast. We could hear roads for quite awhile that day and I remember thinking it was annoying to be so close to roads. 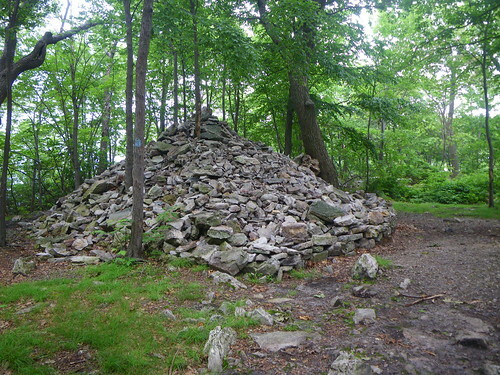 We thought this pile of rocks was what they used to ply the trail with rocks in PA.
On the Pinnacle. Chris went exploring a bit and ran into a group of teenagers who were camping for the night. He said when they found out he was a thru-hiker they treated him like royalty. They were making bacon for breakfast and gave us some as trail magic. For lunch we made it to the Eckville Shelter. The caretaker came by once and told us a few things but we didn’t get any popsicles like other people mentioned in the shelter register. Chris took a shower here and ended up leaving a pair of underwear behind. The trail from the Eckville Shelter to the Allentown Hiking Club Shelter was rough and rocky. I fell once and got extremely frustrated with the rocks everywhere. 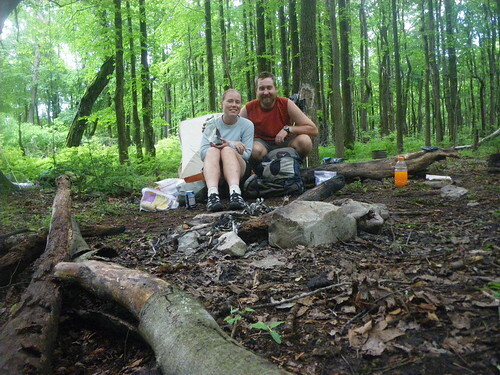 Luckily after we hit the Allentown shelter things smoothed out a little and we were able to cruise down the trail. We heard thunder rumbling in the background as we approached the New Tripoli Campsite. When we arrived we found a Boy Scout troop. Boy Scouts on the trail are generally disliked, mostly because the leaders don’t seem to control the scouts. Don’t get me wrong, there are some good troops like the one at this campsite, but sometimes the troops take over the shelter (the shelters are supposed to be for thru-hikers first), leave trash everywhere and are generally rowdy and disruptive. 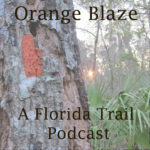 If they have good leaders they are very respectful and will end up asking questions on the trail and general gear questions which is what this group did. They gave us some insight on the next day of Knife Edge and Bear Rocks. Knife Edge. We had planned 12 miles to get to Palmerton for lunch to meet our friend Rich for lunch. It was a bit slow going at first because of the Knife Edge, Bear Rocks and then losing the trail on Bake Oven Knob. The trail was not well marked on Bake Oven Knob. 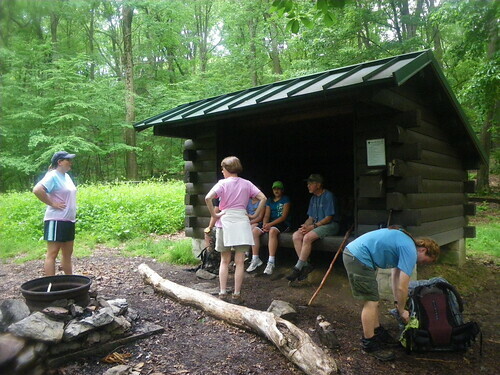 We stopped for a second at the Bake Oven Knob Shelter and kept on going. We ended up having some nice, smooth trail on our way to Palmerton. We started seeing our first blueberries before descending into Palmerton and we resisted the urge to eat them, however, because of the Palmerton Superfund Site issues. We made it to Palmerton in time to for lunch and we ended up at McDonald’s and eating ice cream at a local parlor. It started threatening rain and we debated staying at the police station in Palmerton for the night instead. Yes, you can stay at the police station in Palmerton, get a shower and a bed with a proper id….no handcuffs required. We ended up opting out of it and decided to continue on despite more threatening rain. The mountains around Palmerton are completely deforested from a century of zinc smelting that occurred in the region. Exposed rock is everywhere and it looks like another world. When we descended into Palmerton we saw a rock cliff and knew that we were going up it. It is called one of the first tough climbs south of the Whites, and it was the first time we were pulling ourselves up rocks and squishing through places. It happened to be extremely humid and thick and I ended up feeling very queasy. We ended up getting poured on at the top and sat under a tree for twenty minutes or so. My shorts were soaked from sweat and rain and I felt like I was walking with a wet diaper. More rain seemed to be coming our way so we found a slightly sheltered place on top before Little Gap and made camp in hopes of drying out a bit. It was early so we dozed in the tent and generally loafed about. We woke the next morning to more overcast skies and headed for an unknown destination somewhere near Wind Gap. This section from Palmerton to the Leroy Smith Shelter, 16 miles, is primarily waterless. We attempted to find water near the Delps Trail to no luck, never saw the Stempa Spring trail, but if you are desperate you can walk 1 mile west to a house on Smith Gap Rd if you can’t make it to the Leroy Smith Shelter. That shelter even has three springs to try; we had to go to the second spring to get water. In this section we’d gone I think it was two days without seeing any northbound thru-hikers and all of a sudden we ran into everyone it seemed. We saw Cubbie and Dilly Dally first, then met Spark and Caboose for the first time and Moose and Tetherball walked in shortly after. It was a mini-reunion! We made our way for Wind Gap where we filled up on water at the Gateway Motel and picked up some sodas to carry up. We made camp somewhere after Wind Gap because my feet were hurting pretty bad from the rocks, getting squished and pinched every which way. This was the night of our 8th wedding anniversary and we had Mountain House! WOO! When we were eating breakfast the next morning we met Maple who’d started in early April. We passed her fairly quickly after we left as we made our way for Delaware Water Gap. Chris and I put on the mp3 player since we knew it would be charged soon and listened to Pat Green, U2 and others as we finished the last miles of Pennsylvania. We passed a few people that morning, a lady taking photos and others our for exercise. 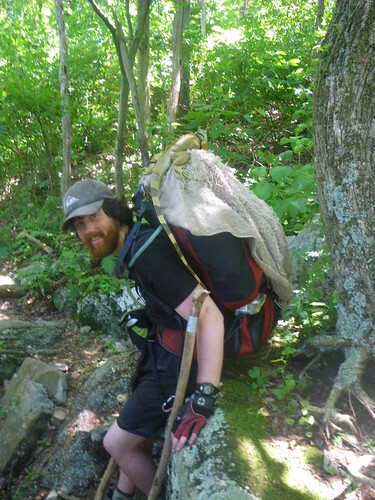 When we reached the Kirkridge Shelter everyone was talking about leaving the rocks behind but only Beefstick who’d hiked the trail before, uttered the true words in his usual sarcasm that we were definitely not seeing our last rocks on the trail. Rocks would continue, only in a different form. On the last descent into Delaware Water Gap we met some section hikers who warned us about rocks going down into town, but we found them not hard at all and warned them about Palmerton. We made it to the Presbyterian Church of the Mountain Hostel in good time for lunch and met up with Moose and Tetherball, the Traveling Circus, MC, Snack Attack, Maple and others. We’d missed Merf by a few hours as she’d kept on going and Spark and Caboose kept on going as well. Cubbie and Dilly Dally were staying with relatives for the night. 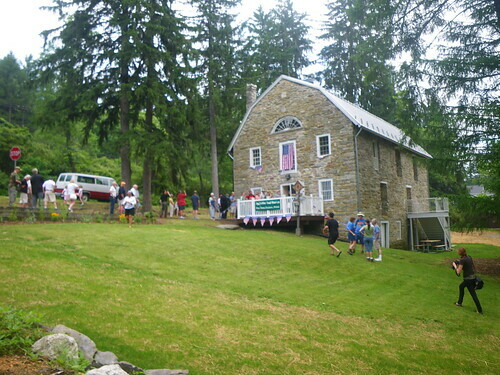 Delawater Water Gap is a good place for having a package mailed to you as there is not a formal grocery store in town. You can pick up enough at the outfitters and gas stations to get you a few days down the trail into New Jersey, but you might want to try to find the bus to get you into Stroudsburg, PA for a better resupply. Definitely eat at the apple pie place while you are there. It’s a farmers market/apple pie bakery that is absolutely delicious. We also ate at a nicer restaurant in town for our anniversary dinner: scallops are much better than Mountain House. The hostel does not have laundry so you will be doing everything in the sink and hanging it to dry. Washing clothes in the sink is really gross; you never realize how much dirt you have in your clothes until you see it first hand. We had a good breakfast at the Delawater Water Gap diner and then mosied over the Delaware River and into New Jersey. 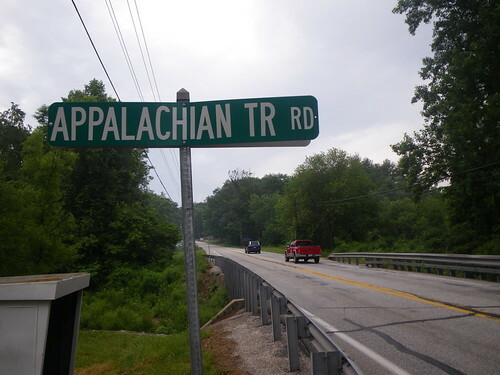 Nice, descriptive ride….I appreciated every word as I recalled my hikes through PA – ‘AT SB’r Class of ’79, still a section hiker whenever I can get away for a few days. You’re right about PA being a practice run for the White’s (NH ROCKS..lol) . And the Palmerton to WindGap stretch has always been d r y. “Intermittent streams” shown on my topo’s never flowed. We ran into some “wet magic” (ice cold water) with a Ranger near the Radio Tower’s above Lehigh Gap…One more saving grace was that we stocked up and carried 16lbs of water per person per day. 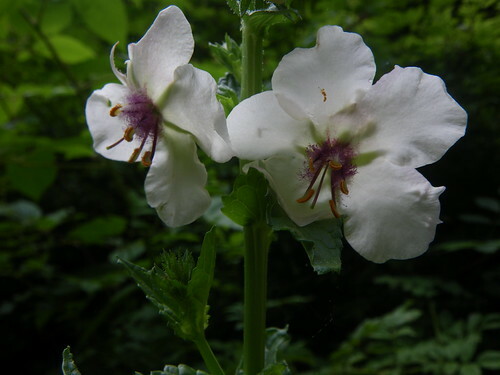 Yeah…the things you remember from hikes are amazing…and remain etched in your mind forever. 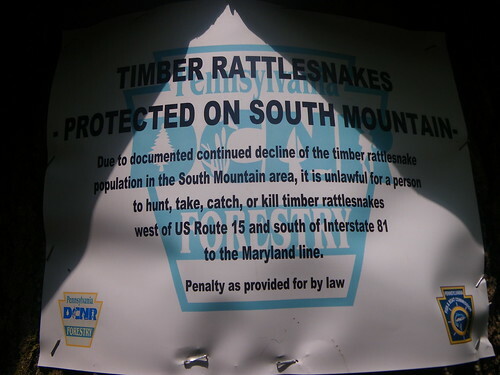 Oh…and if you happen to run into Slacker and Chicadee in your travels…let them know that the old school hikers they met at the Rocky Mountain Shelters (near Rt 30 PA) appreciated their presence more than they can imagine. Purchase online for Oakley sunglasses starting at $9.95. Collection of 300+ styles in our sunglasses warehouse @ queeniefashion[com].